Exeter Chiefs winger Jack Nowell is to have knee surgery and will miss England's summer tour of New Zealand. 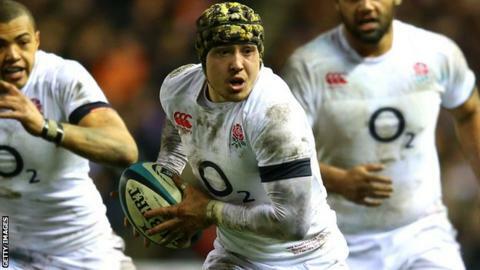 The 21-year-old, who started all five of England's games during this year's Six Nations, is expected to be fit for the start of the 2014-15 season. Nowell's shoulder, which he injured against Leicester last month, will also be assessed, reports BBC Radio Devon. England will play three Tests against the All Blacks this summer, starting in Auckland on 7 June. Truro-born Nowell made his debut for Chiefs in 2011 and has gone on to appear 17 times in the Premiership for Rob Baxter's side. He made his England debut in February's 26-24 defeat by France, with his first international try coming in the win over Italy.